"Putting a roll toilet paper on the can doesn't make me thirsty" he never put a toilet paper anywhere dipshit. 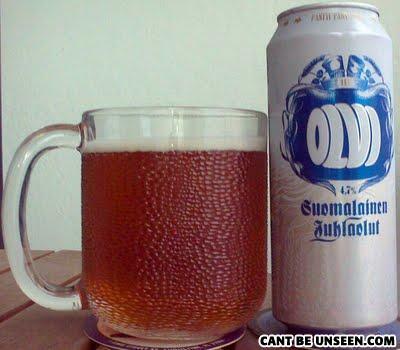 That goddamn barrel is the logo of a brewery called Olvi! I'm a jew and the guy above me is a nazi! Thumbs me up so i can get away from him!!! "Now, Rich, would you like some pu-sy? (...) Pu-sy, energy drink"